What would you trade in for a longer, cancer/diabetes free life? 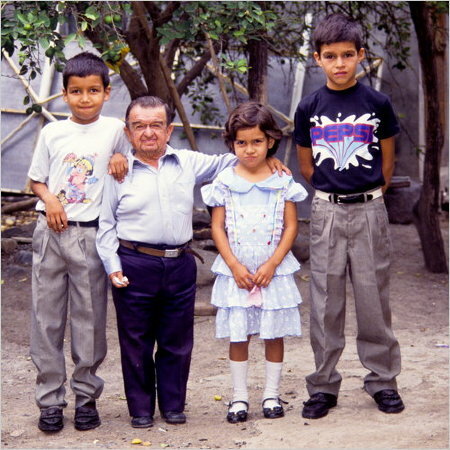 How about your height, as researchers studying villagers in Ecuador who have Laron Syndrome (a type of genetic dwarfism) have found that besides being small in stature, these dwarfs are apparently immune to cancer and diabetes. Ecuadorian physician Dr. Jaime Guevara-Aguirre, has been studying a group of 99 villagers with the syndrome for the last 24 years. He found that villagers without the dwarf syndrome were more likely to have cancer and diabetes. Another researcher, Dr. Valter D. Longo of the University of Southern California, created a serum from the blood of villagers with Laron Syndrome and exposed it to a sample of human cells. He then exposed the cells to a DNA-damaging chemical. The serum not only protected the cells from damage, it caused cells that did become damaged to self-destruct, thus preventing a cancerous tumor from forming. Pretty impressive science, don't you think?